A man has admitted abusing and assaulting his student girlfriend, who later took her own life. Angus Milligan, 21, of Edinburgh, admitted choking and slapping Glasgow student Emily Drouet, 18, at halls of residence in Aberdeen. University of Aberdeen law student Ms Drouet was found dead several days later in March last year. Milligan admitted assault and threatening behaviour. Sentence was deferred at Aberdeen Sheriff Court. The court heard that Ms Drouet had approached a student resident assistant in Aberdeen to say she was having difficulties with the way she was being treated by her boyfriend, a fellow student. When she was asked if it was physical, she said "no" and told them she did not want to get him into trouble. 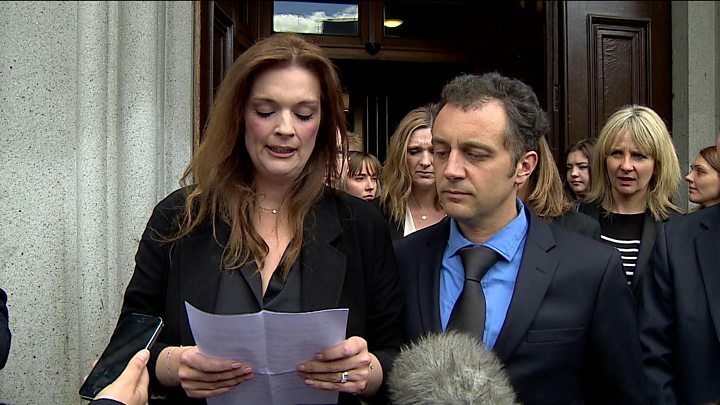 Speaking after the case, Ms Drouet's mother Fiona said her daughter had had everything to live for, and she thought about her every day. The family has called for Milligan to receive a custodial sentence. 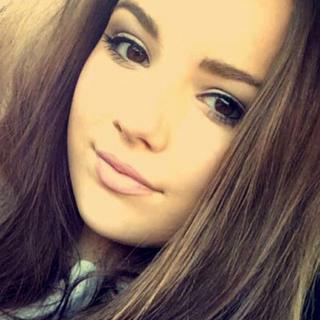 Mrs Drouet said: "Emily was kind, caring, loving, intelligent and beautiful - inside and out. "She left for university full of excitement, with a bright future ahead of her. "That all ended when she met Angus Milligan. We miss her every second of every day. "We hope the courts will impose a custodial sentence, sending a strong message that domestic violence will not be tolerated." Christopher MacIntosh, assistant procurator fiscal for Grampian, Highlands and Islands, told the court: "The impact these crimes had on her (Emily) one will never know. "Emily's parents are devastated by the death of their daughter and the conduct to which she was subjected by the accused." Milligan admitted three charges of the eight he originally faced. He admitted an assault at New Carnegie Court, Hillheads Halls, on 10 March last year when he seized Ms Drouet by the neck, choked her, pushed her against a desk and twice slapped her on the face to her injury. He also admitted sending her offensive messages, and behaving in a threatening or abusive manner by shouting and using abusive and offensive language towards Ms Drouet. Susan Duff, defending, said Milligan understood the pain which Ms Drouet's family was feeling. She said he accepted his responsibility and would always have the knowledge that his girlfriend took her own life a week later. Ms Drouet was found dead on 18 March. Sheriff Malcolm Garden deferred sentence until 5 July. A University of Aberdeen spokesman said: "Emily was a bright and capable student, and her death was a tragedy that was deeply upsetting for all of us here at the University of Aberdeen. "The wellbeing of our students and staff is our number one concern, and we are committed to supporting anyone who is experiencing difficulties during their time at university. "The university has enacted an action plan to expand our range of support services, and we are making good progress as we implement a number of new measures designed to offer our students and staff the best possible support." If you are feeling emotionally distressed, support and advice is available from Scotland's national domestic abuse and forced marriage helpline which provides a confidential service on 0800 027 1234.